Myanmar's military carried out mass killings and gang rapes of Muslim Rohingya with "genocidal intent" and the commander-in-chief and five generals should be prosecuted for orchestrating the gravest crimes under law, U.N. investigators said Monday. In doing so, it "contributed to the commission of atrocity crimes," the report said. 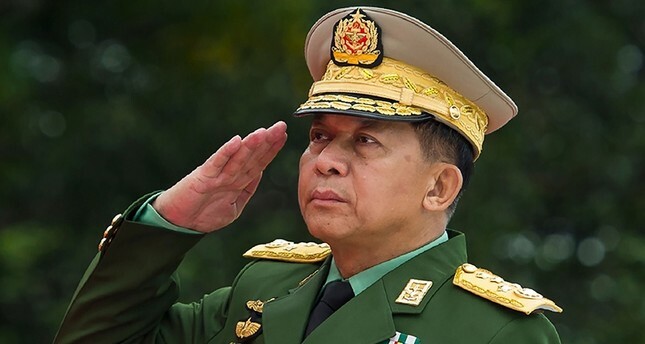 The United Nations human rights panel said Monday that Myanmar's commander-in-chief Min Aung Hlaing should step down. "The only way forward is to call for his resignation and stepping down immediately," Marzuki Darusman, chairman of the Independent International Fact-Finding Mission on Myanmar, told a Geneva news conference. A year ago, government troops led a brutal crackdown in Myanmar's Rakhine state in response to attacks by the Arakan Rohingya Salvation Army (ARSA) on 30 Myanmar police posts and a military base. At least 9,000 Rohingya were killed in Rakhine state from Aug. 25 to Sept. 24, according to Doctors without Borders. In a report last December, the global humanitarian group said the deaths of 71.7 percent, or 6,700 Rohingya, were caused by violence. The death toll includes 730 children below the age of 5. The U.N. report said the military action, which included the scorching of villages, was "grossly disproportionate to actual security threats." The three-member "fact-finding mission" and their team, working under a mandate from the U.N.-backed Human Rights Council, meticulously assembled hundreds of accounts from expatriate Rohingyas, as well as satellite footage and other information to assemble the report. "The military's contempt for human life, dignity and freedom – for international law in general – should be a cause of concern for the entire population of Myanmar, and to the international community as a whole," said fact-finding mission chair Marzuki Darusman, a former Indonesian attorney-general, at a news conference. The United Nations defines genocide as acts meant to destroy a national, ethnic, racial or religious group in whole or in part. Such a designation is rare under international law, but has been used in countries including Bosnia and Sudan and in the Daesh campaign against the Yazidi communities in Iraq and Syria. The report said Suu Kyi, a Nobel Peace Prize laureate, "has not used her de facto position as Head of Government, nor her moral authority, to stem or prevent the unfolding events, or seek alternative avenues to meet a responsibility to protect the civilian population." The top U.N. human rights official Zeid Ra'ad al-Hussein has called the crackdown against the Rohingya a "textbook example of ethnic cleansing." Suu Kyi's government has rejected most allegations of atrocities made against the security forces by refugees. It has built transit centers to receive Rohingya returnees to western Rakhine state, but U.N. aid agencies say that it is not yet safe for them to return. Decades of state-sponsored stigmatization against Rohingya had resulted in "institutionalized oppression from birth to death," the report said. The report also criticized Facebook's response to allegations, including by members of the same U.N. panel in March, that the social media giant had been used to incite violence and hatred against the Rohingyas. Facebook said on Monday it was removing certain Myanmar military officials from the social media website and an Instagram account to prevent the spread of "hate and misinformation" after reviewing the content. The European Union's executive in Brussels will hold a meeting this week with the authors of the U.N. report on Myanmar. "Those responsible for alleged serious and systemic human rights violation must be held to account," said a spokeswoman for the European Commission. "Any further EU step is something that would have to be discussed with the member states." The spokeswoman said the U.N. report was timely as the situation in Myanmar was still "extremely serious." The EU has sanctions on Myanmar but has shied away from targeting the commander-in-chief so far. The ICC issued arrest warrants for Sudan President Omar al-Bashir in 2009 and 2010 over his alleged role in war crimes including genocide in Sudan's breakaway Darfur province in 2003. He remains in office.